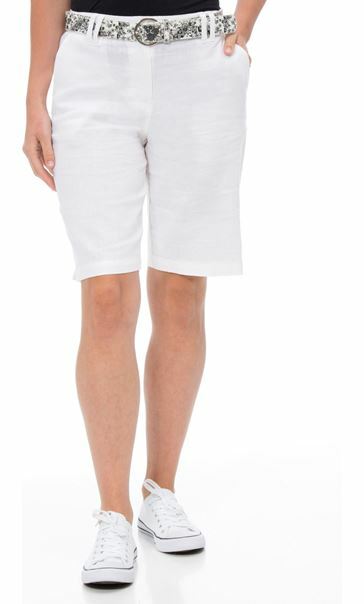 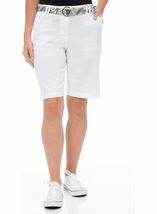 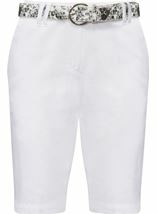 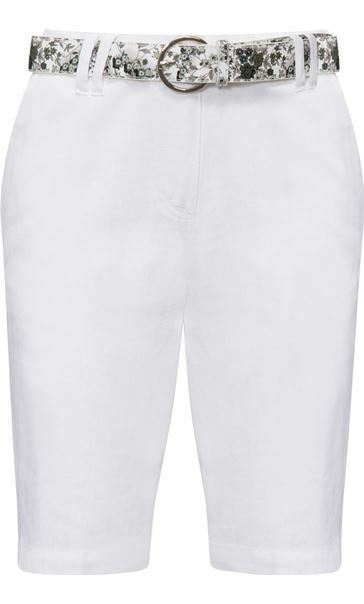 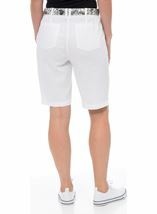 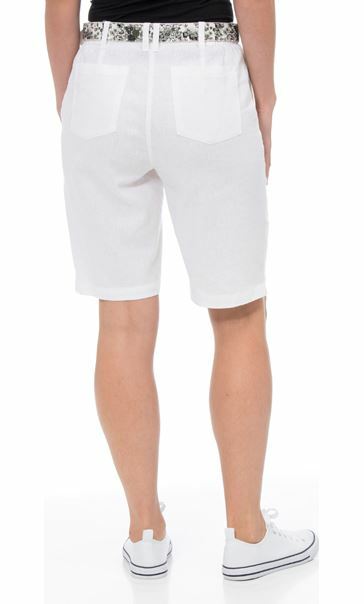 White lightweight linen blend shorts are the perfect choice for warmer days and look great teamed with a t shirt. 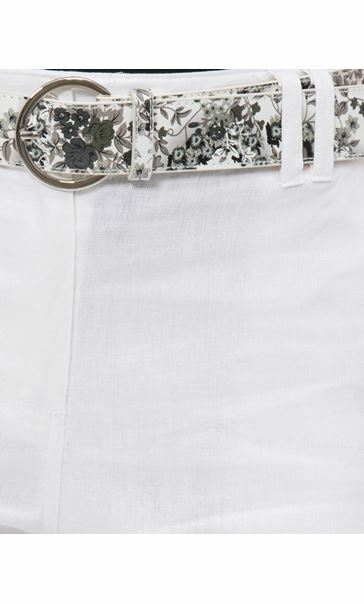 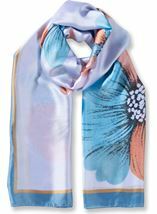 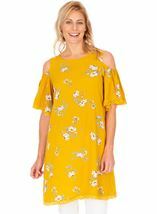 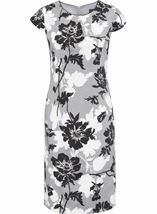 Featuring back pockets, lined front pockets, part elasticated waist and finished with an eye catching floral printed belt. 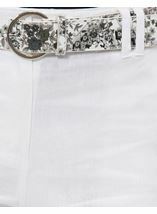 Inside leg 28cms.